Gold-plated silver jewelry, also called gold vermeil, has a very thin layer of gold applied over silver. It is almost like gold paint. The thin layer of gold usually wears off rather quickly. 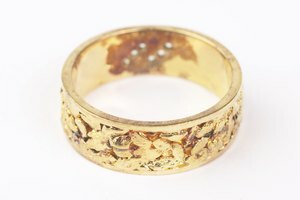 Since so little gold is used in making gold-plated jewelry, it is less expensive than gold or gold-filled jewelry. Because the surface is so delicate, you must be extra careful cleaning gold-plated jewelry. Wipe the jewelry lightly with a damp cotton cloth to remove surface dust and dirt. Fill a bowl with warm soapy water. Use lukewarm, not hot, water. Add a few drops of dish soap that doesn't leave a film. Do not use antibacterial soap. Place the gold-plated jewelry in the soapy water. Let it soak for 15 minutes. Take the jewelry out of the soapy water. 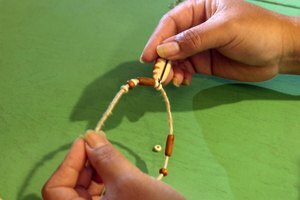 Use a soft toothbrush to gently scrub in the tight places on the jewelry. 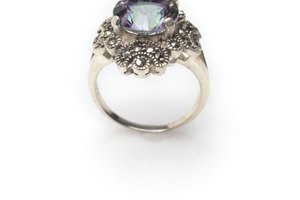 Hold the jewelry under lukewarm running water for a minute to rinse off the soapy water. Dry the jewelry immediately with a paper towel to avoid water stains or mineral deposits from the water. 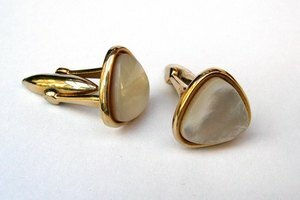 Rub the jewelry very softly with a polishing cloth that is made for polishing gold. This is to restore the shine of the gold. Do not use abrasive polishing cloths, as they will remove too much of the gold finish. A more permanent way to bring back the luster and beauty of your gold-plated jewelry is to take it to a jeweler and have the piece re-plated with gold. 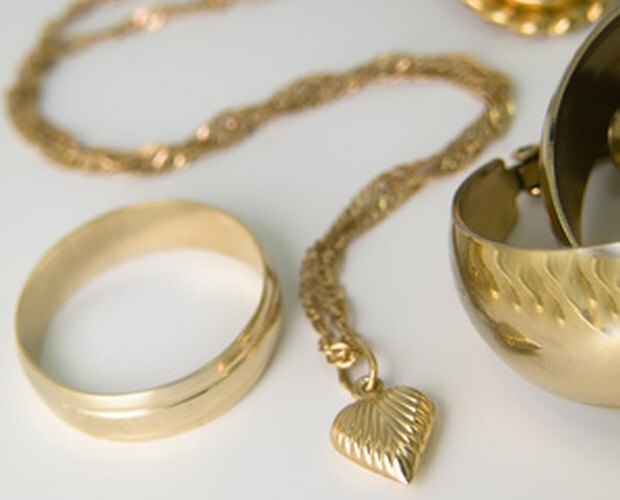 Since gold-plating is so delicate, try to avoid getting scratches on your gold-plated jewelry. 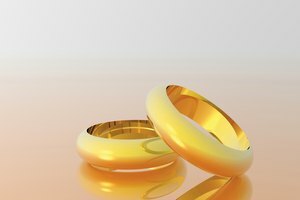 Overstock Jewelry: Jewelry Care Center - How do I clean my jewelry? Based in New Jersey, Robert Raphael has been writing health and technology articles since 1993. His work has appeared in “Natural Living” magazine and “Extreme PC” magazine. Raphael received the Jonathan Melman Literary Award in 1994. He holds a Bachelor of Arts in journalism from Brandeis University. 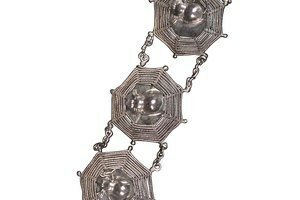 How Do You Clean Marcasite Jewelry?